Most successful piece of the day was just a quick sketch of my one and only Lupine! We planted these years ago, and finally one has surfaced. It’s a beautiful fuchsia color. I sat down to do a warm up sketch mid day….I like it! Maybe I will turn in into a casein painting on stone next. 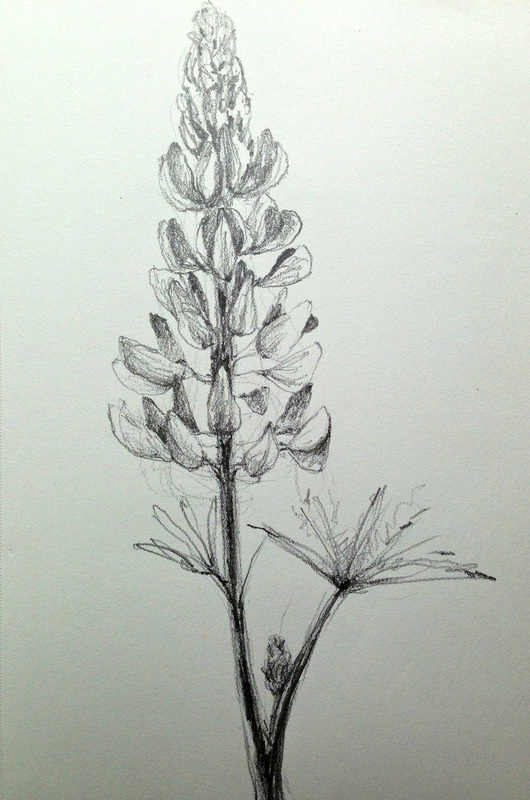 This entry was posted in Uncategorized and tagged Lupine, maine coast, sketch. Bookmark the permalink.